Back in December, 2009, I had a post about sparkling Shiraz. 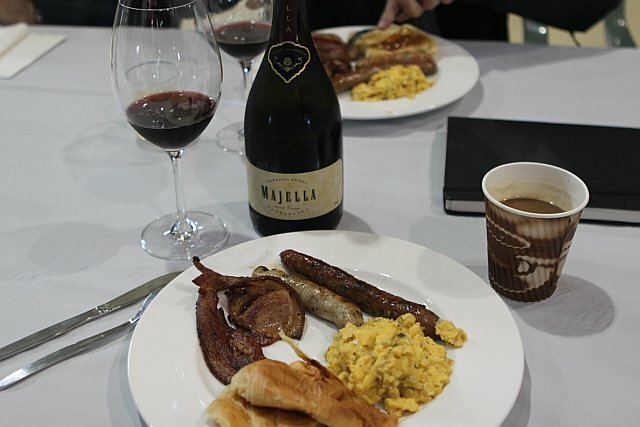 Last month, I had the opportunity to visit Majella and test the proposed quaffability of sparkling red at breakfast time. 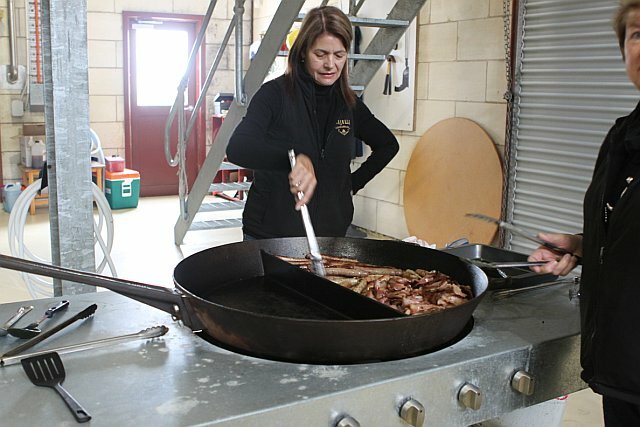 Majella had what has to be the world's largest frying pan set up in the middle of the winery. I have to include another shot here, just to give you a better idea of the scale of this thing. 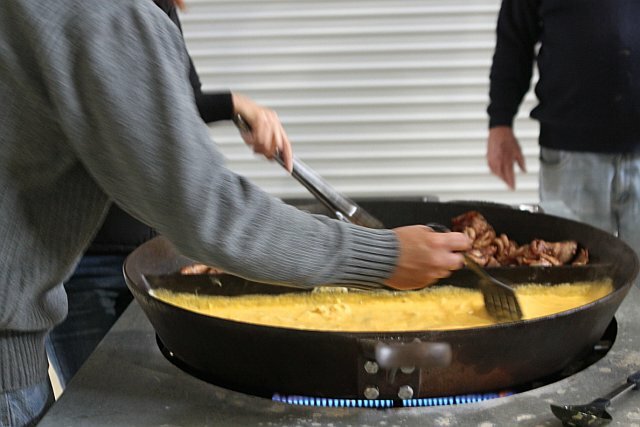 Half the pan was dedicated to scrambled eggs and the other half was dedicated to local bacon, pork and chicken sausages. Yes, I was having coffee and wine at the same time. Hey, it was 8:30 am. wow. I think she would fit in just fine at the distillery as long as she brings her pan.